While the Consumer Financial Protection Bureau (CFPB) tries to figure out who it is under the Trump administration, we’d like to shed some light on one of its more populist functions: a soap box upon which to complain about the indignities of our financial products. My colleague Will Thomsen and I had a hunch there might be some nuggets of wisdom and opportunity for fintech entrepreneurs amongst the million grievances against (mostly) incumbents. So, to all the disrupters and fintech rabble-rousers out there, sharpen your knives. For some background, the CFPB started out by accepting complaints for credit cards only. This soon mushroomed into all consumer finance products, including mortgages, checking accounts, and credit bureaus. Then, much to the chagrin of large financial institutions, in 2012 the CPFB began to publish anonymized versions of received complaints, providing a glimpse at the companies’ interactions and dispute resolution with customers. The data is available here, and we’re hardly the first to analyze the results. The CFPB itself produces neato monthly snapshots focused on different products tracked in the database. At Core, we strive to invest in the most consumer-friendly financial services companies in America. This is hard to do without knowing what consumers consider unfriendly. The top three offending categories are mortgage, debt collection and credit, accounting for between 18% and 30% of complaints, respectively. Credit cards and bank accounts also draw ire, albeit to lesser extents. In mortgage, 50% of complaints are around loan modification, collections and foreclosure. Not entirely surprising, but this presents an opportunity for better practices and customer experience. Another 34% of mortgage complaints are in servicing, payments and escrow matters. All are stubbornly antiquated practices, despite some recent attempts at modernization. In debt collections, 39% of complaints are about continued attempts to collect debt not owed. This shouldn’t exist in a world with self-driving cars. Period. Another 20% of complaints are about disclosure verification of debt, and 16% complained about communication tactics. Despite the inherently adversarial nature of collections, companies like True Accord are showing us that you don’t need to scream and threaten to be effective. In credit reporting, a ridiculous 73% complain about incorrect data on credit reports. This is a long-known issue that should not exist at any scale. Can someone build a blockchain credit bureau that uses machine learning to verify data accuracy, already? We looked at how the complaints have changed since 2012, with only a couple of trends standing out. One is the decline of mortgage complaints. While mortgage accounts for over half of all complaints in Q1’12, debt collection and credit reporting are bigger thorns today. We see a spike in student lending complaints, which continued into last year. Yet another big category that has left a generation of Millennials flummoxed regarding better options. Unsurprisingly, Bank of America, Wells Fargo, J.P. Morgan, and the Big Three credit bureaus are the most complained about. But, which companies, big or small, frustrate us the most? Instead of normalizing complaints based on customer counts, as others have, we mined data often ignored: the actual complaints as told by everyday people. It’s important to note that Watson scores the presence of each emotion on a scale of 0 to 1. When averaged, no product or company scored above 0.5. Still, we believe basic conclusions can be drawn when comparing products and companies on a relative basis. Americans express the most sadness around prepaid cards, while credit reporting draws the most anger and debt collection the most fear. You might expect sadness and anger in a complaint, but it’s hard to justify any level of fear. So, entrepreneurs take note: debt collection then, where we see almost no venture activity, appears particularly attractive as a target for innovation. Finally, to date, there’s little angst with virtual currency, which scored the lowest across all three emotions. Will the continued growth and mainstream speculation in blockchain technology eventually give way to a hangover? Answering our question of who frustrates consumers the most, one could make the case for Empowerment Ventures (parent company of RushCard) as well as Equifax and Experian. Empowerment Ventures no doubt earned its place when a glitch in 2015 prevented users from accessing funds. This left its traditionally underbanked customer demographic unable to pay for food or travel to work. For anger, Equifax and Experian lead the way, although all three national credit bureaus score above average. As an investor focused on unlocking value for everyday consumers, Core Innovation Capital is pleased to see the CFPB’s Consumer Complaint Database continue to gain awareness. We’re encouraged by the efficacy of the database’s primary intent: giving consumers a voice while simultaneously applying some public pressure on financial institutions to fairly and efficiently resolve customer conflict. And, of course, we hope that this pain in the side of incumbents serves as inspiration for innovators in our Fintech Revolution. 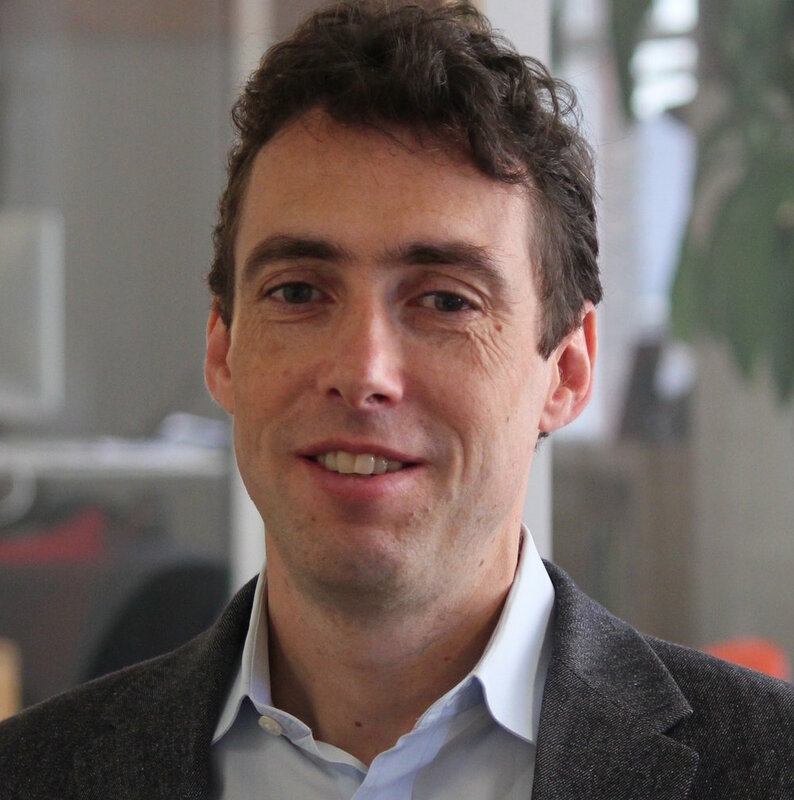 Arjan Schütte is the founder and a managing partner of Core Innovation Capital, a leading venture capital fund investing in financial services companies that empower everyday Americans. His investments include Ripple, Oportun, CoverHound, NerdWallet, and Fundera. Arjan is a passionate advocate for market-based financial inclusion and serves on the Consumer Financial Protection Bureau’s Consumer Advisory Board.